As a follow-up to my post on compiling the sources for CC65 here are some instructions to compile homebrew projects without a graphical user interface or Integrated Development Environment (IDE) like Visual Studio or CodeBlocks. I will show you how to do some more setup of your Windows installation to be able to compile homebrew projects. and your PATH variable should contain the MinGW msys bin path and the CC65 base directory. Part 2 contains some instructions to create the permanent environment variables. Below is a batch script that can do the same for you. Examine the script, then after you have verified it is benign copy and paste it to a text file. 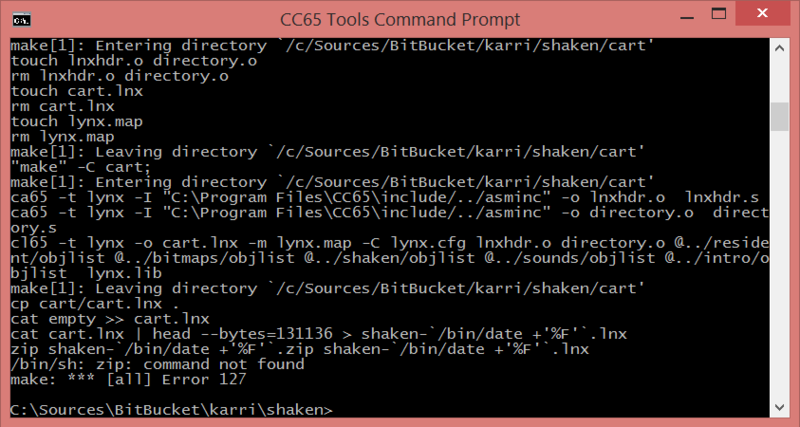 Save the file as cc65vars.bat in your CC65 installation directory (probably C:\Program Files\CC65). Change the ‘Start in’ field to %PROGRAMFILES%\cc65\ and fill in ‘Open CC65 Tools Command Prompt’ in the Comment field. The cogwheel icon of the shortcut should change to the familiar black command prompt. Give the shortcut a fancy name like ‘CC65 Tools Command Prompt’. That’s it. All set to start compiling your sources. 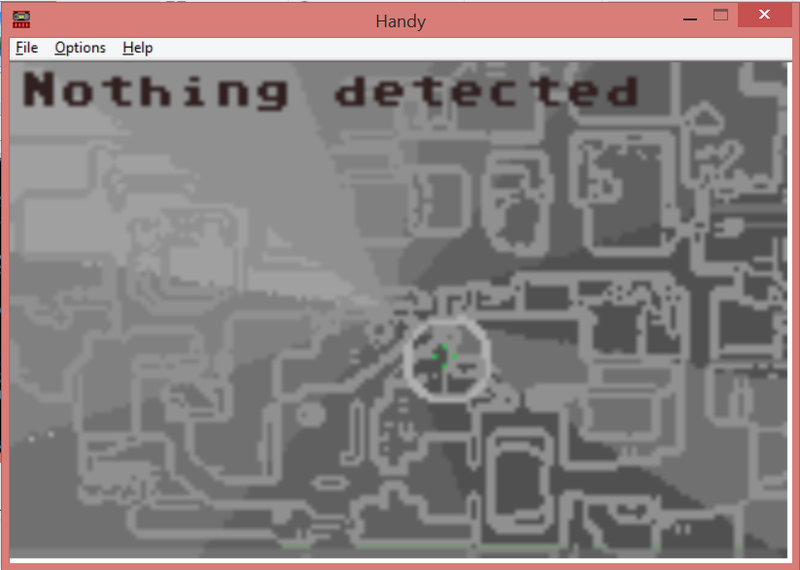 You can try your installation by compiling the sources of a homebrew game called “Shaken, not stirred”. As before, create a clone of Karri’s Git repository for Shaken by using this clone url: https://bitbucket.org/karri/shaken.git. Use either Git for Windows tooling or Visual Studio (or whatever else you might have for that). After cloning the Shaken repo, start the command prompt we created before and navigate to the root of the repo. Run make.exe and everything should run smooth when the setup is okay. You might notice in the output that the final stage of zipping the cart.lnx file didn’t happen correctly. I’ll figure out where to get the zip.exe tool to have this succeed as well. Frankly, I do not bother zipping the files that are a maximum of 512 kB. 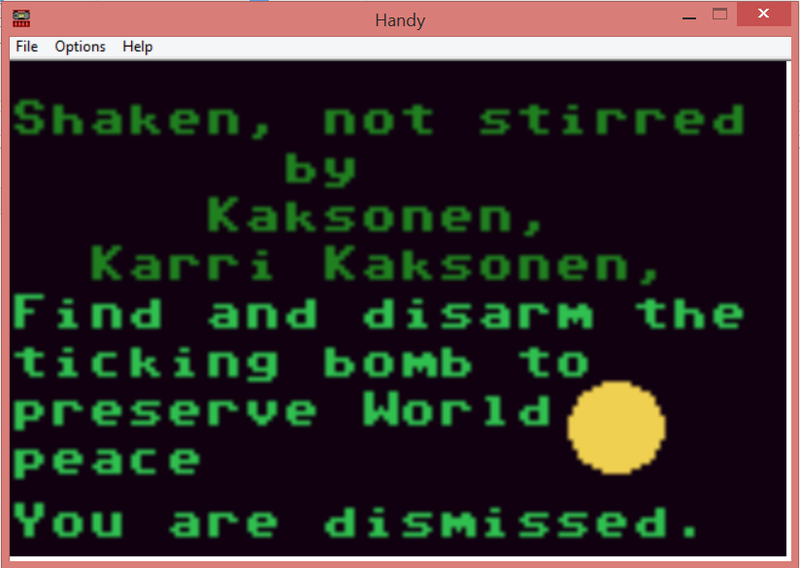 Feel free to contact me here or at the AtariAge Lynx Programming forum if you run into problems you cannot fix. Have fun. Let me know of your particular details, tips or tricks so I can include them here and at the tutorial.